Hey sweet friends, welcome back. Can you believe Easter is just 10 short days away?! Time is just flying this year. The day before yesterday, we welcomed in the beautiful new Spring season, albeit quite a soggy one here in Northern California. I will not complain. I love the rain and we are always too short on supply to not welcome it with open arms. Well, you have just about enough time to make some of these adorable creations for your Easter Tables! 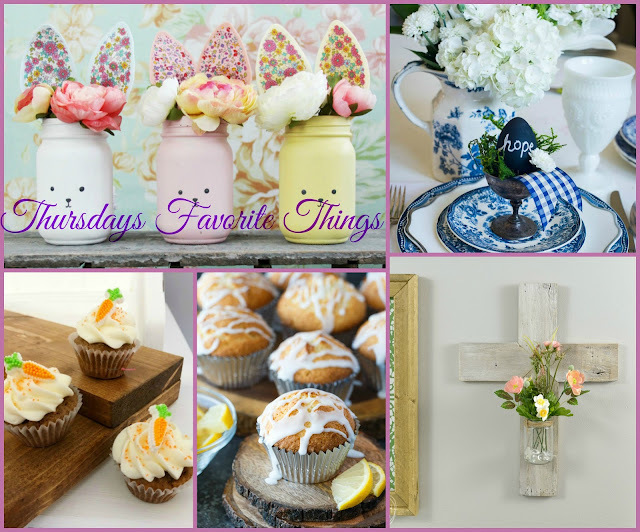 Whether you were looking for Easter decor or some wonderful recipes to try, last week's party had it all, and then some! Enjoy all the creative ladies that linked up with these fun options! 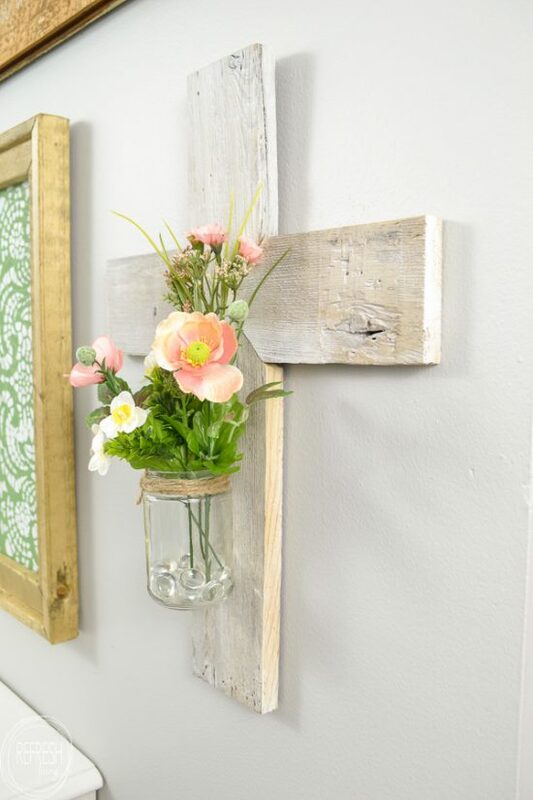 Jenny from Refresh Living shared this absolutely beautiful Rustic Whitewashed Wooden Cross Isn't it lovely? Jennifer from Celebrating Everday Life showed us how to make these adorable DIY Chalkboard Easter Eggs I want some now, too! 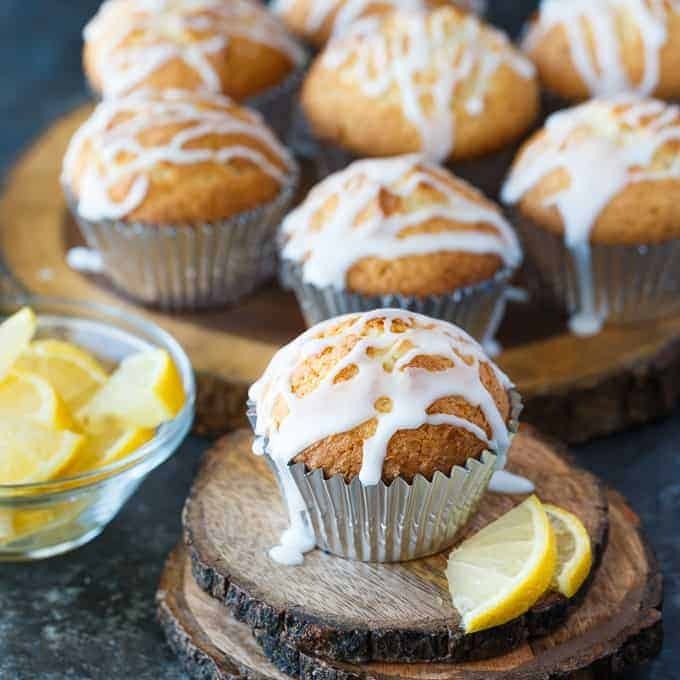 Janine from Confessions of a Mommyaholic shared her Yummy, Healthier Mini Carrot Cake Cupcakes with Cream Cheese Frosting recipe. They look just perfect. 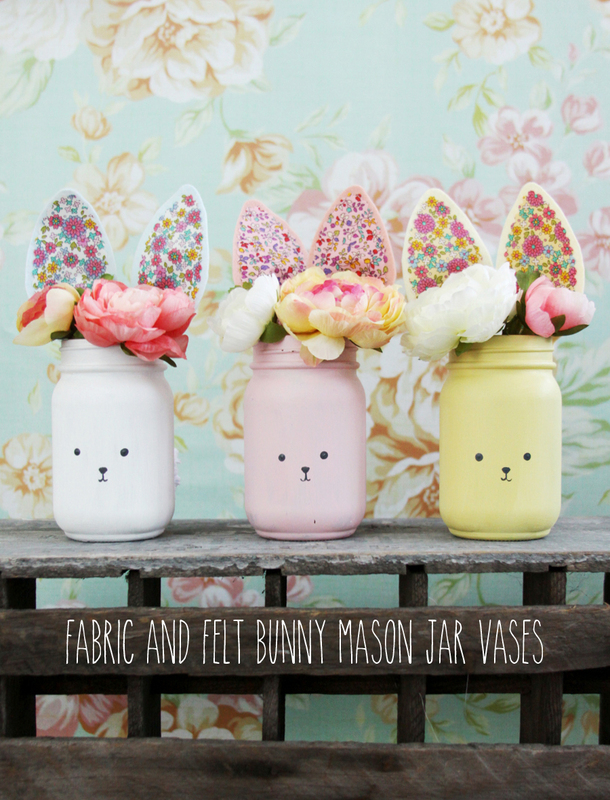 Bev from Flamingo Toes had some really creative fun with her Colorful DIY Bunny Mason Jars They are the sweetest I've seen. These look like a must try for me! This is us! Won't you join us?! 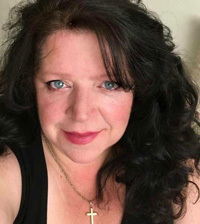 Thanks for the party, Theresa! Lovely features. It's so fun to see all of the Easter inspiration being shared!